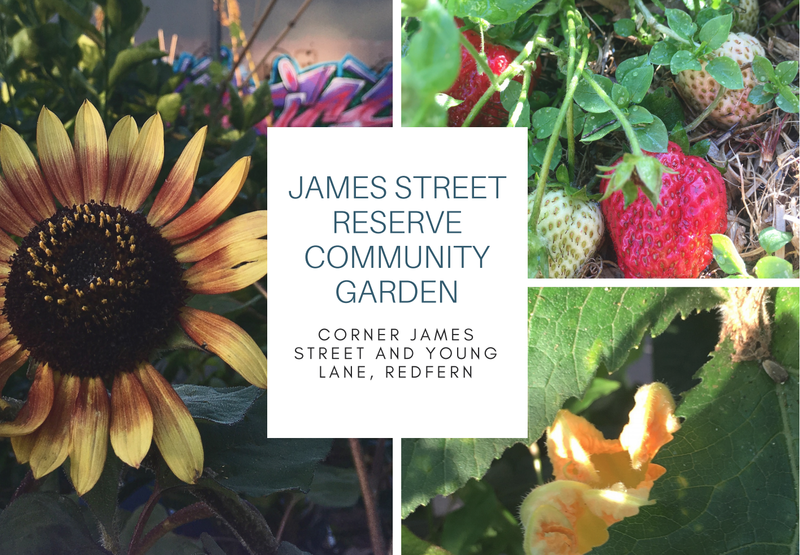 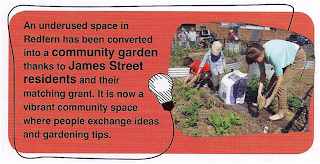 James Street Reserve Community Garden was featured on a City of Sydney Matching Grants flyer "do you have a great idea" that was recently enclosed with rates notices. 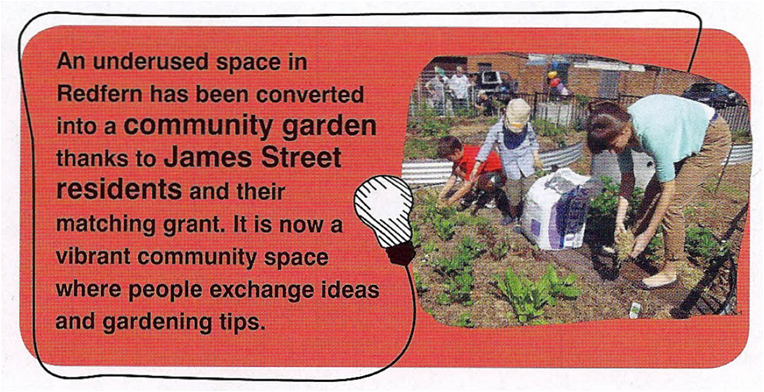 Our garden was one of three projects that showed how an "idea has been turned into a reality". 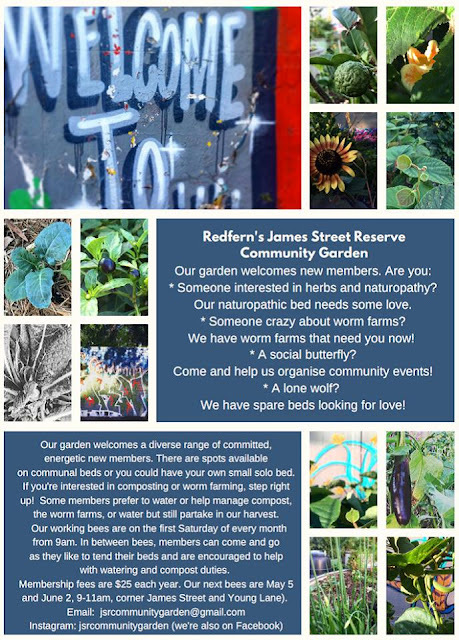 Worms give the manure two thumbs up.